Think you might have failed? Think again. Discover this amazing quote from a famous American inventor and businessman. Thomas Alva Edison was born in Ohio, USA in 1847. From humble beginnings he went on to found many successful companies, including General Electric, which is still one of the largest publicly traded companies in the world – with market capital of over $250 billion. 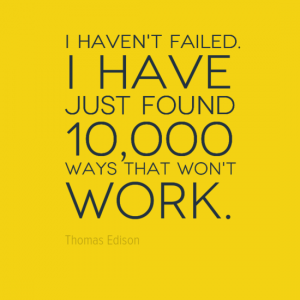 Edison was the youngest of 7 children and only received 3 months of formal schooling. He sold sweets and newspapers on trains and was educated at home by his mother and through his own reading. In 1866, at the age of 19, Edison moved to Kentucky to work for Western Union. He specifically requested the night shift so that he could indulge his favourite pastimes – reading and experimenting. Having been fired for his night time experiments he lived and worked in the basement of a fellow inventor. In 1877, Edison produced his first great invention the phonograph – the first ever device for the recording and reproducing sound. However, perhaps his best invention was the creation of a research lab where employees would carry out research and development under his direction. Other inventions attributed to Edison include the first commercially viable electric light bulb, a patented system of energy distribution, an automatic telegraph and the kinetoscope. 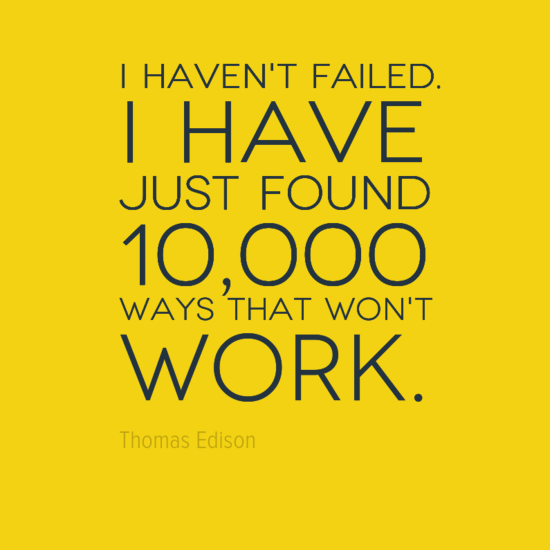 Edison died in 1931 aged 84. He received numerous awards and tributes both during his lifetime and after. Tributes include the naming of a town called Edison in New Jersey, a lake called Lake Thomas A Edison in California, 3 brigdes , a college, several schools, an asteroid and much more.